Julia has fifteen years experience in massage and bodywork integrating her skills from many different modalities. She has been certified over the years for many therapies, including Core Myofacial Therapy, Neuromuscular Therapy and Mana Lomi Massage. She has had the ability to work in spas in Europe, ski resorts in the North East and also, of course, her favorite home by the sea, Martha's Vineyard. From relaxing aromatherapy massage to deep sports therapy, she offers a holistic approach to massage and well-being. She was also trained at the ShivaShakti school of Yoga and has received her 200 hour yoga teacher training certificate. 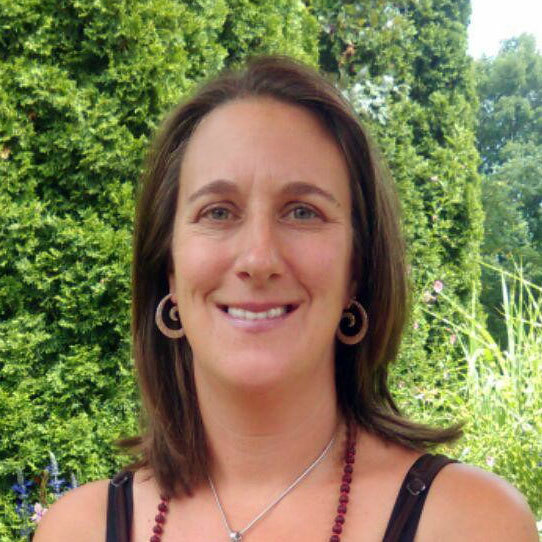 She is currently teaching yoga and massaging in Vermont at The Bridges Resort and Sugarbush Resort. As well as on Martha's Vineyard, at Bodysense, periodically through the summer. Bodysense therapists are highly trained professionals who combine extensive training with their natural talents for healing. They are dedicated to assisting you in experiencing yourself on all levels, to participate in your own healing and to be well.